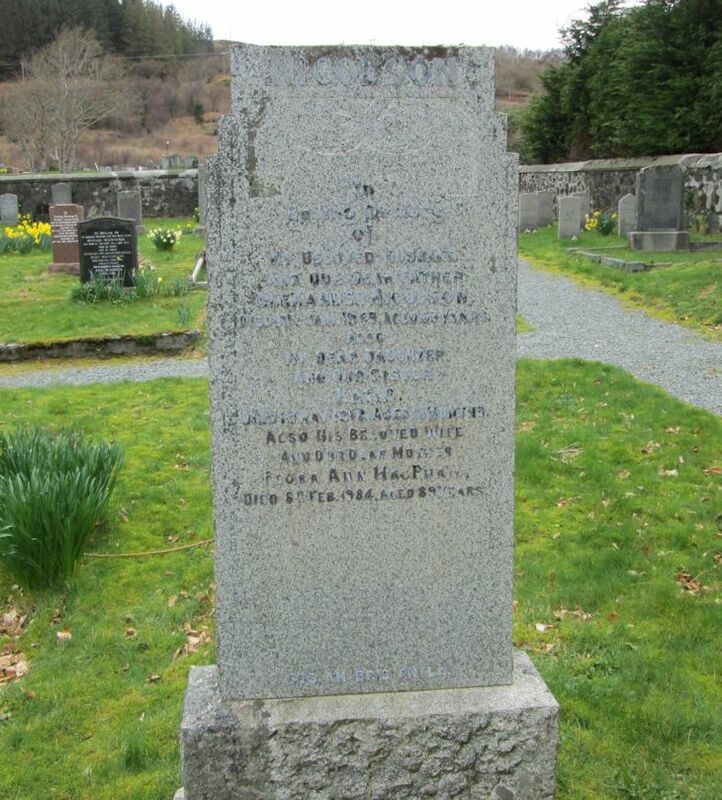 Skye Gravestones | Alexander & Flora (MacPhail) Nicolson, d. Katie. Alexander & Flora (MacPhail) Nicolson, d. Katie. In/loving memory/of/my beloved husband/and our dear father/ALEXANDER NICOLSON/died 18th Jan. 1949 aged 63 years/also my dear daughter/and our sister/KATIE/died 1st May 1918 aged 16 months/also his beloved wife/and our dear mother/FLORA ANN MacPHAIL/died 8th Feb. 1984, aged 89 years.